1. Which of the following gave a tough resistance in India to the army of Alexander? 3. Which of the following are the Indian astronomer and mathematician during the reign of? 6. Which of the following held the post of Deputy Prime Minister of India simultaneously with Jagjivan Ram? 7. Which one of the following is popularly called ‘Dakshin Ganga’? 8. Which state in India is called the ‘Garden of Spices’? 24. Name the person who was popularly known as “Deshbandhu”. 1. A student ranks 18th in the class of 45, what is his rank from the last? 2. In a row of boys Sandesh is 8th from the right and Chunkey is 12th from the left ,when Sandesh and Chunkey interchange their positions, Chunkey becomes 21st from the left which of the following will be Sandesh’s position from the right? 3. If every even letter beginning from ‘B’ is replaced by odd number beginning with 3, which number/letter will be the third to the right of the tenth number/letter counting from your right? 4. If the alphabet is written in the reverse order and every alternate letter starting with Y is dropped, which letter will be exactly in the middle in the remaining letters of alphabet? 5. What will come in place of question mark (?) in the following sequence? 6. If you pick up from the alphabet, the sixth and the fourteenth letters from your right and then pick up, the fifth and the twentieth letters from your left and form a meaningful word, what is the first letter of that word ? 7. In a certain code ‘FORM’ is written as ‘ERQP’ How will’ CLEAN’ be written in that code? 10. In a club, 20 per cent of the members own only two cars each, 40% of the remaining own 3 cars each and the remaining members own only one car each. Which of the following statements is definitely true from the given statements ? 11. “The Journalists who indulge in yellow journalism should be put behind the bar”. Which of the following would be the strongest argument against this suggestion? (B) Why only journalists ? What about politicians ? (D) Yellow journalism is nothing but little essential spice added to actual happenings around us. Directions—(Q. 12-14): In a village of Bastar district in Madhya Pradesh, only two types of people live who belong to a tribal class. The first type is known as class A, while the other is known as class B. In that village, there is no other type of person except these two. The activities of both types of people are governed by perfectly patterned norms of social behaviour. Each person of the tribe has to obey the norms. They are rigid about this. I. The people of class A cannot marry any other member of their own class though they can marry members of class B.
II. After being married, each male member ceases to be a member of that class in which he was born but, automatically, he becomes the member of the other class to which his wife belongs. III. As far as fema1esare concerned, they remain the members qf their own class after being married. V. When any male member becomes widower or divorcee, then he again belongs to the group in which he was born. VI. No body can marry more than one person according to social laws. 13. Which of the following marriage is not permissible according to the social laws? 14. Any class B female can have? 15. 6, 8, 10, 11, 14, 14,? 16. 759, 871, 647, 1095? 18. 13, 15, 15, 17, 17, 17, ? Directions—(Q. 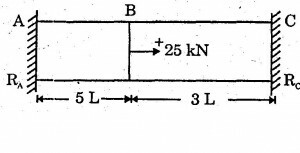 20—24): These questions consist of two parts. The first has some specific relationship between two words. For establishing same relation in the second part, select an appropriate word from the given alternatives. 20. Food : Eat : :Water:? 22. Butter: Bread : : Bark: ? 23. Refrigerator: Cool: : Oven:? 24. Coal: Engine: : Wax:? 25. If A = 2, B = 3 and C = 4 and so on, which word do the numbers 9, 2, 15, 5 represent?